Hello! My name is Maia Hall and I am the new Coordinator for International Relations at the Kyoto Prefectural Office International Affairs Division. I’m very excited to be living in as beautiful and unique a city as Kyoto! 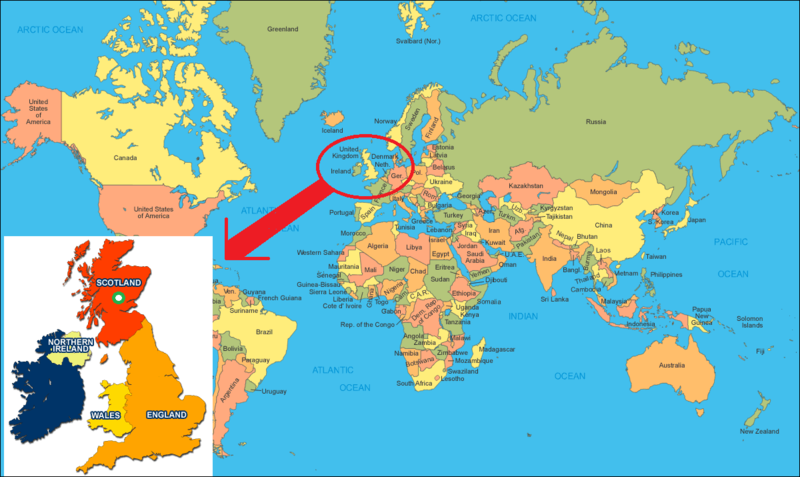 I am half British and half Japanese but was born in Bonn, a small city in Germany, famous as the birthplace of Beethoven and Haribo sweets and also (like Kyoto was for Japan) for being the capital of West Germany from 1949 to 1990 until the reunification. I lived in Tokyo, Singapore and Hong Kong as a child and then went to boarding school in the South of England from the age of 16. I recently graduated from the University of Edinburgh with a Joint Honours degree in Linguistics and Japanese, spending my Year Abroad at Keio University in Tokyo. Having lived in Edinburgh for 4 years, although my family now lives in Germany again, I feel very at home in Scotland! 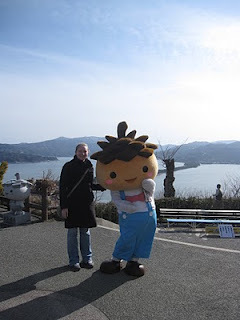 I’m excited to get to share what I love about Germany, the UK and multi-cultural living in general to people in Kyoto Prefecture and also learn lots about this area from local and foreign residents alike! I think it it’s very important and exciting that Japan is increasingly opening itself up to other cultures, and feel very privileged to be a part of this cross-cultural movement here in Kyoto, a city world-famous for its history and traditions. I love to travel, eat, write and meet people and look forward to doing all these things here, hopefully with some of you! 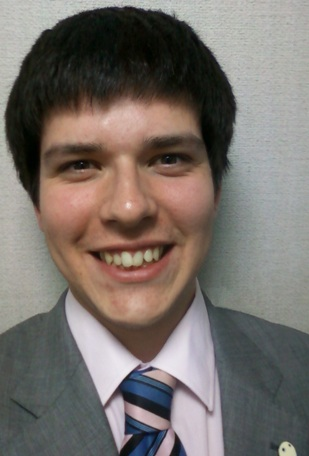 My name is Mark Garratt, and I am the new CIR based at the Kyoto Prefectural Office, working in the International Affairs Division! I arrived at the beginning of August 2012, and I am very much looking forward to becoming a part of the Kyoto community! I have come from the wee town of Birnam on the banks of the River Tay, in central Perthshire, in central Scotland. In many ways, I find that the landscape is a lot like rural Japan in the sense that there are a few small towns and villages located along the main road north from Perth to Inverness, and outside of that is breathtaking natural beauty. If you’re at all familiar with Shakespeare’s Scottish Play, “Macbeth”, you’ll notice that Birnam Wood is mentioned, and rightfully so, as my local area is regarded as being in the heart of “Big Tree Country”. We have lots of hills, trees, and even more sheep. It’s a beautiful little place, and a real hidden gem for anyone wanting to get a taste of what the real Scotland is like. 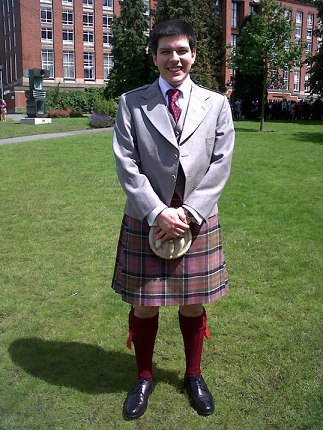 I have recently graduated from the University of Birmingham, UK, having studied a joint honours course in Economics and Japanese for 4 years. I’ll be trying to pick up where Jennifer left off, by trying to facilitate as much as I can for both native and foreign residents in the area, helping out at international-themed events, and hopefully introducing a side of the UK and British culture that many people may not have had the chance to experience before. I feel it’s important for not only Kyoto Prefecture, but Japan in general, to make sure that those residents, who may not necessarily have a strong grasp of the Japanese language, are offered the same services as everyone else. I believe that the UK is a shining example of a multicultural society, and so hopefully I can use my experiences to help foster an international environment and promote awareness of this kind of community. I’m thrilled to be here in Kyoto, and I look forward to meeting you all soon! Born in: Ithaca, New York, United States. Ithaca is a small city in a rural part of New York State, far from New York City. While it is small, it has a very international and diverse atmosphere due to its two colleges, Ithaca College and Cornell University. Ithaca also has beautiful natural surroundings including a number of waterfalls, a beautiful lake, striking fall colors and lovely apple blossoms in the spring.